▶ SoldThis listing was sold on May 11, 2018 for the price shown here. $10,000 price reduction! Make offer. 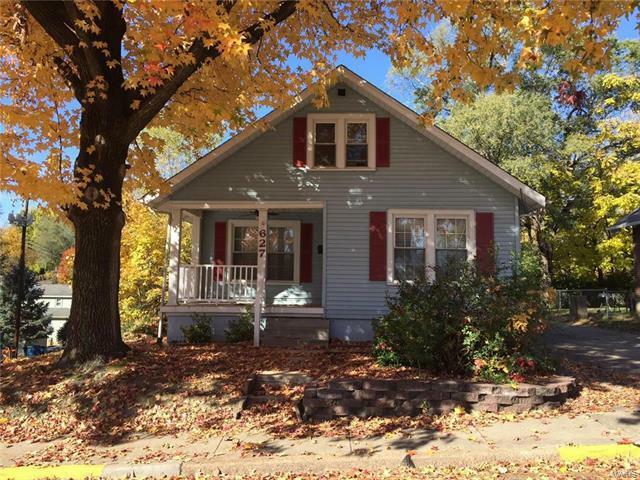 Charming 2 bedroom 2 bath home located in a nice neighborhood in historic St. Charles. Main floor bedroom and bathroom. The bathroom has recently been renovated with new ceramic tile surround and new sink, toilet and faucets. Recently painted main level. Formal dining room could also be a family room or office. Original hardwood floors on both levels and the hardwood floors on the main level were just refinished. Spacious open kitchen floor plan with an island and new ceiling fan. Original woodwork and most interior doors are original. Main floor laundry plus a basement and plenty of closet space throughout provides plenty of storage. This home is just waiting for your personal decorating touches. With a Walk Score of 72, you are walking distance to the shops and restaurants in historic St. Charles, as well as the Katy Trail bike path, Lindenwood University and the new Schnuck's . From Interstate 70, take 5th Street north towards historic St. Charles, turn left on Perry, turn right on 8th Street, home is on the left, located on the corner of Perry and 8th Street.